All projects are held in the strictest confidence because Insight Alpha understands the importance of performing independent research that is exclusive and proprietary to each individual client. Telephone conversations between our contributing experts and clients are private, and members of the Insight Alpha team and our clients are not privy to these discussions. Insight Alpha does not maintain a position on stocks and is not concerned with the trading position of its clients. Insight Alpha consultations help seek out information which is hard to come by, useful and legal. We take extensive steps to protect our clients, our experts and ourselves from any breach of law or regulation. Our unique standards and safeguards are strictly enforced for all consultations. All our clients are requested to adhere to standard terms in our client contracts which require they not wittingly request material non-public information or confidential information from experts. 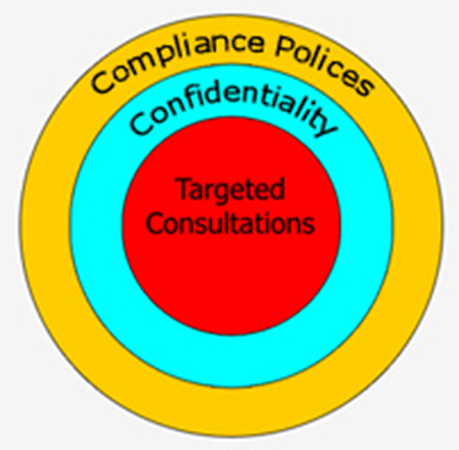 Client identity not disclosed to experts till clients choose to schedule a discussion. No topics discussed which reflect a conflict of interest for the experts. Experts sign and periodically review agreements regarding fair disclosure, insider information and non compete. Our experts sign confidentiality clauses on subjects investigated and client details. All experts sign up to our Terms and Conditions committing them to observing relevant legal and regulatory restrictions. We do not publish research reports, trade recommendations or newsletters on the back of enquiries that we see from our clients. We do not offer medical or investment advice or legal representation.